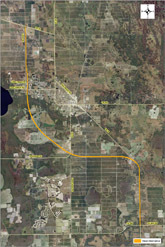 The Federal Highway Administration (FHWA) and the Florida Department of Transportation (FDOT) conducted an Alternatives Scoping Public Meeting on Wednesday, February 17, 2010, from 5:00 pm to 7:00 pm at the Immokalee One-Stop Career Center, 750 South 5th Street, Immokalee, Florida. 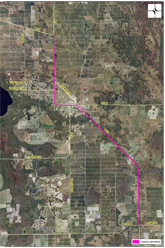 The purpose of this scoping public meeting was to review and receive comments on the SR 29 PD&E Study preliminary alternatives developed for the project. 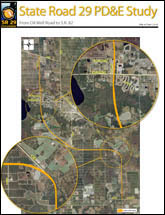 Aerial photographs and other project information were available for public review and can be viewed by clicking on the icons below. 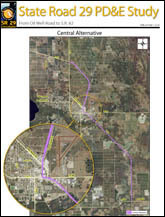 Department representatives were available at the meeting to answer questions and discuss the alternatives. 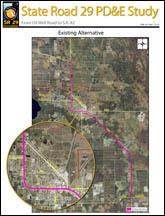 The formal alternatives scoping meeting was deemed necessary to aid the department in project development and to increase awareness of concerns. 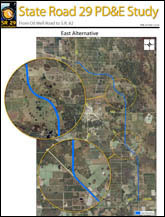 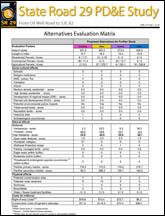 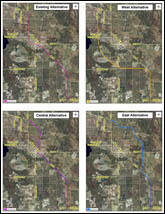 The project summary report which was completed through the Efficient Transportation Decision Making (ETDM) process can be viewed on the ETDM web site at http://etdmpub.fla-etat.org/est/ .